We know it's getting to be that time. 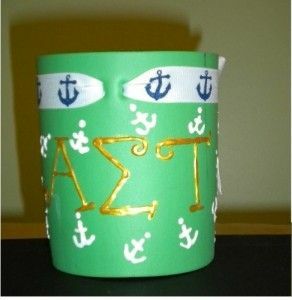 Soon your dorm room floor will be covered with glitter, paint brushes, and stencils, so those of us at Something Greek thought we would bring you a little crafting inspiration. 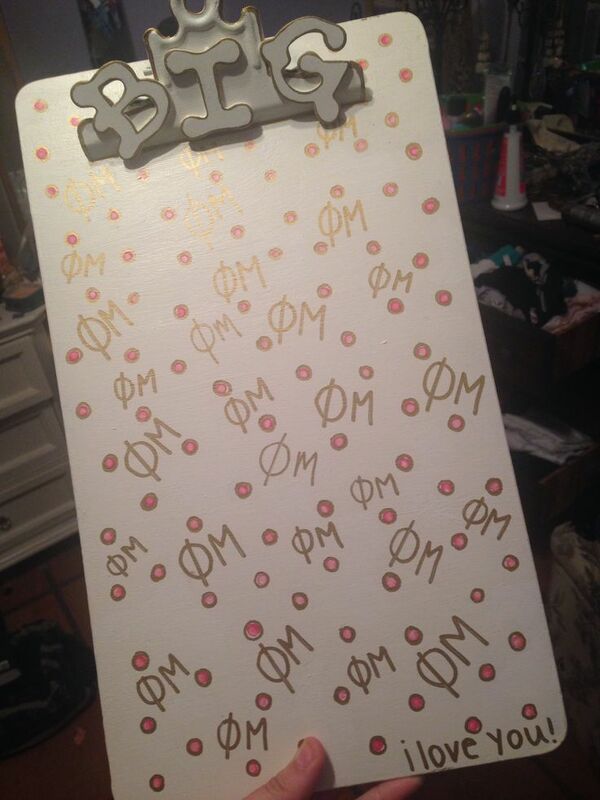 All of the below images were found on Pinterest, and make sure to follow our Cheap Sorority Gifts/ DIY Pinterest board for even more crafting ideas! 1. 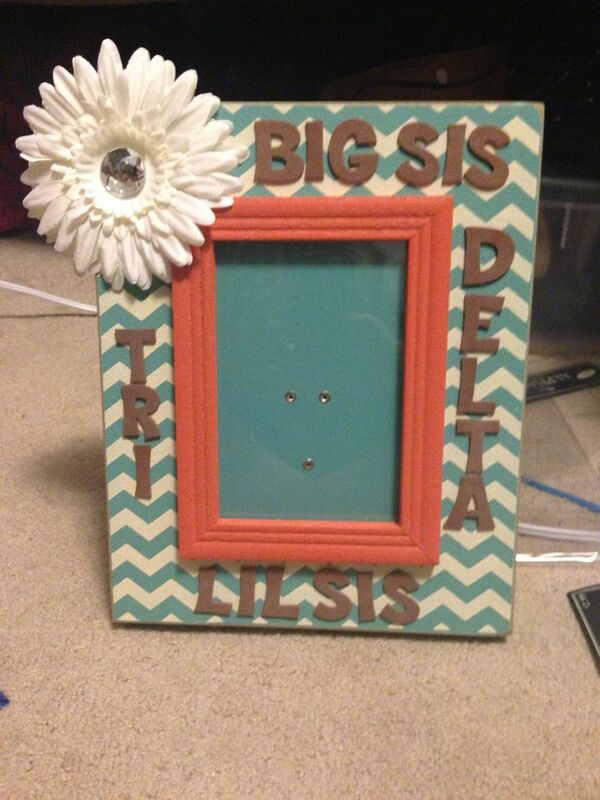 Chevron print it huge right now, and this craft isn't so sorority-based so this could even be a great graduation present for your big! 2. 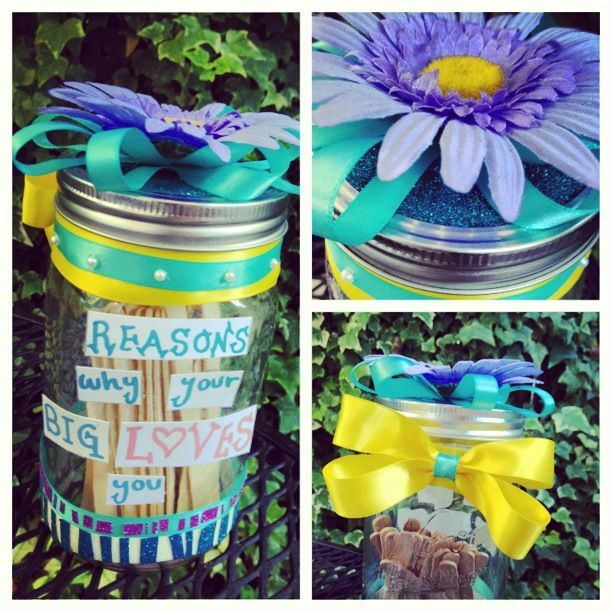 This "Reasons Why Your Big Loves You" mason jar is super pretty for everyday, but it's even more special on those days when your little is feeling down.